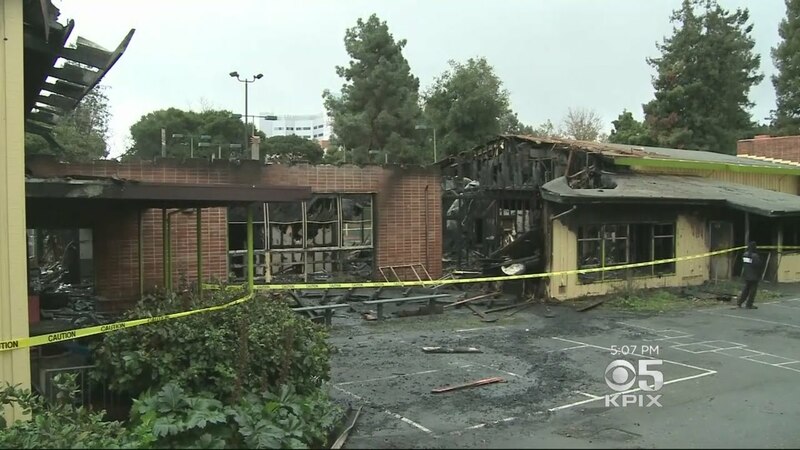 When a fire destroyed the popular Mosswood Park Recreation Center in North Oakland in November 2016, city officials announced with fanfare they would work with the community to rebuild it. Now, over a year later, neighbors and supporters of the Mosswood recreation center are concerned that the project may be running out of steam, mired in the city’s bureaucracy. Supporters of the park and recreation center consider the site a community gem and a neighborhood institution. They are determined to make sure the site is restored. The center, located in the four-acre park at Webster Street, W. Macarthur Boulevard and across the street from Kaiser hospital, is run by the Oakland Parks and Recreation department and had housed a computer lab, after school programs, a homework club and dance studio, kitchen and programs for children with disabilities. Lighting and water fountains currently are in disrepair —and trash pickup is spotty —though the park is still used for basketball games and other community activities. Also situated at the park is the Moss House, a historic mansion that is sealed up and in disuse. The “Carpenter Gothic” style Victorian home was built in 1864 and bought by the City of Oakland in 1912. “The day after the fire happened, there was a lot of sympathy and support from politicians. 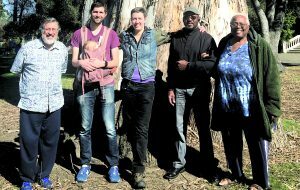 But that has not happened since,” said Brian Person, a community member who belongs to the Mosswood Recreational Advisory Council (RAC). Some of the organizers supporting the Mosswood Park Rec Center are (L to R): Juan Lopez, Matt Ewing, Gretchen Till, Terry Stewart and Cassie Lopez. “They had to demolish what was left after the fire,” he added. “It’s a hole in the ground now. The park has deteriorated because of the loss of the rec center. “(But) it’s hard to get traction with the city,” Pearson said. A number of people in the area want to make sure the park and recreation center remain a city priority, but the pace is frustrating. Cassie Lopez, also co-chair of Mosswood RAC, said the center and the park attract people of different ages, races and economic status. Many people use the park for events – birthdays, capoeira, basketball – and they need to be involved to make sure the park is not forgotten, she said. All these people need to be represented in the renovation planning – along with the homeless. Wald, Councilmember McElhaney’s chief of staff, told the Post that he understands the community’s frustrations. “The lack of information can be upsetting, he said, emphasizing the need for better communication with the community. He said a settlement has been reached with the insurance company for about $4 million. “Plans have been submitted to put a temporary recreational center structure, which should be installed by the end of March,” said Wald. By Post deadline, the city’s Parks and Recreation department and the Risk Management department had not returned calls. It’s great to see the new center going in at Mosswood. The issue now is for safety for the kids. There has been a homeless issue at the park. People should be concerned since some of these people can be unpredictable. There is so much trash in the park which includes a lot of used needles. The police and the city were here a couple of weeks ago to clean up the tents/people who were not keeping their areas neat and clean (which was good to see). However, they did not clean everything up. There were orange cones left in the area where the needles are. I was hoping this was to mark the area so that they could come back and clean that up. Still hoping they come back and finish that task, since it is not a safe area to be in.